Linux shell scripting will provide you in depth knowledge of how the tasks are automated in OS and the application and how it's embedded in shell. Linux shell scripting is must know skills IT industries for automation tasks. It provides you the skill of adding several instructions sequentially in different shells of OS and perform set of tasks unattended respective of hardware ,software and user needs. It has become a standard of organizations to prepare their own Scripts for maintain their infrastructure and end user services. Knowledge of someUnix/Linux commands, and OS terminals. Programmers of ruby, perl, python, C, Pascal, or any programming language With basic or professionals. 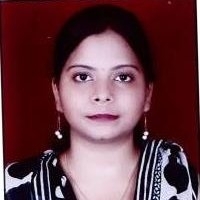 Mamta Tripathi is a Corporate Trainer with BSC (IT) with 10.5 yrs. of experinece and global certified in different technologies as MCSA, MCSE in server 2008/2012/2016, MCITP, CCNA, CCNP, RHCE with Knowledge of different Operating System platforms and their administration she has taken up this knowledge to cloud and train the people to understand the cloud concepts in easier manner. She has conducted trainings for more than 500+ clients in PAN India. Microsoft solution azure architecture program will provide you expertise in creation, development and administration to azure Cloud Solution. It also prepare you for Microsoft solution architecture exams. Cloud is a used in all modern business for different means for infrastructure, software’s and platforms. AZURE cloud provides used the on-demand services for any services as per business requirements websites hosting, building cloud applications, and infrastructure, auto-scaling of servers, load balancing servers, gateway, storage, cloud database and many more... It has several benefits over the physical infrastructure and services it provides continuous availability of servers with very low downtime ,faster time to market, reduces costs of resources used as per pay-as- you-go and once the resource is free the charges are stopped.